LC: What is the Al-Bireh Friendship Association? JB: It began with a group of individuals endeavouring to do something positive to overcome the seemingly irresolvable conflict between the Palestinian and Israeli people in the Middle East. Whilst against the military occupation, we are not opposed to the state of Israel. We decided to form a town twinning group to encourage dialogue between Northampton in the UK and Al-Bireh on the West Bank, at the same time promoting general opposition to the Israeli occupation. We are a growing group. Several public meetings generated large attendances and we now have over forty paid-up members. Kate Scott and I recently visited Al-Bireh to make links with the area. We do not have town council approval at this stage but we took a letter to the Mayor of Al-Bireh from the Mayor of Northampton. We are tentatively making progress. Our Association is trying to raise awareness of the difficulties in the West Bank, extending solidarity, support and friendship while pressuring policy makers to implement international law and UN resolutions. We are a non-violent organisation and wish to link up with similar organisations to help end this military occupation through dialogue and peaceful pressure. We wish to share cultural and business interests and indulge in the usual activities associated with the town twinning process. We think it is important to humanize the conflict by developing sporting and cultural links and building up communications between the people of Northampton and Al-Bireh. LC: Are you interested in an exchange of views with groups that may be in opposition with your aims? JB: We are very interested in engaging in dialogue with people who disagree with us. Our meetings have been public forums and recently several people attended from the local synagogue and were very critical. We attempted to deal with their fears about our objectives and given that our aim is to end the occupation through peace and communication then it is necessary to contend with and overcome opposing views through peaceful means. LC: How diverse is your membership? JB: I personally come from a pacifist Quaker background but of course you do not have to be Christian or religious to join our group. A commitment to peace is a prerequisite. We are keen to reach out to all strands of the community who wish to work for peace. Members of the community from other faiths (and none) have joined, including Muslim and Jewish members. LC: In regards to your recent visit, how long were you in the region? JB: Six days in Israeli and twelve days in Al-Bireh, a town of about 50,000 people in the heart of the contested territory very close to Jerusalem. There are two refugee camps in Al-Bireh. The Arab and Muslim population dispossessed of their land in 1948 and 1967 reside in these camps. Generation after generation of people have been living in this way since the 1940s. North of Al-Bireh there is another refugee camp with about 10,000 people living in it. These camps resemble a very poor, overcrowded UK council estate, having a strong urban appearance. The community is continually squeezed, impacting severely on the residents. Poverty is prevalent, especially in the camps, but not the kind of absolute destitution that I have seen elsewhere in the world. Ironically, there is a lot of aid going into the area from the USA, Europe and the United Nations – guilt money really. People who have left the area also send money home to supplement income for those left behind. The Palestinian economy is ruined by the military occupation but our priority is partnership with Al-Bireh, a relatively prosperous West Bank community, not handing out aid. LC: It all sounds pretty pessimistic, is there any hope? JB: I believe that peace is possible. There are positive signs and from our travels it was clear that there was a genuine wish for peace both in Israel and Palestine. Palestinians told us that they do not want a third Intifada, a consensus is developing that rejects violence and the people appear war-weary. In 2002 Ramallah was re-occupied by the Israeli military and young people have vivid memories of the trauma this caused. Also there is a lot of enthusiasm about the United Nations Resolution to confer non- member observer status on Palestine. A great deal of excitement has been generated by this. Some people are also starting to talk the language of human rights within a single unitary state. Such talk is about recognition and not confrontation. There was a lot of interest in the Ramallah launch of Raja Shehadeh’s new book ‘Occupation Diaries’. The author is a human rights lawyer and the book articulates many of the aspirations built around a human rights agenda. But the political climate in Israel looks bleak, with a lot of support evident for a right-wing government that looks likely to resume power after elections early next year. Supporters of this agenda in Israel view the situation through the prism of ‘military force’ and ‘security’. This language is moulded around fear of Palestine which is perceived as an existential threat to Israeli. There are good historical reasons for this fear but such thinking needs to alter if progress toward peace is to be achieved. During the Intifada Israeli soldiers were lynched in Ramallah and violence became commonplace, but from what I have seen the West Bank is a much more peaceful place today. LC: Are there any signs of change in Israel? JB: Well despite what I have said about the political climate there are positive signs. We had contact with Israeli-led peace groups, very brave people acting in the face of hostility. We joined a regular ‘Women in Black’ Israeli demonstration opposed to the occupation. But counter demonstrations are also evident and I was shocked by the public display of hostility generated by these anti-occupation demonstrators. LC: Can you tell us about the Boycott campaign? JB: We are talking about produce that comes from the Israeli-occupied areas and we support Palestinians who are campaigning for a ban at governmental level on imports of settlement products. The European Union has preferential trading agreements with Israel. They could stop goods and products from the West Bank settlements been included in this arrangement. This is something that we hope that people on the Left and within progressive politics can support – the Boycott, Divestment and Sanctions movement (BDS). LC: Why is friendship with Al-Bireh so important? JB: One of my abiding memories of the Palestine people is the welcome that they gave me, people walking up to me in the street and greeting me by saying, “You are welcome in Palestine”. They want their story to be told and the world to know that they are not terrorists but human beings. 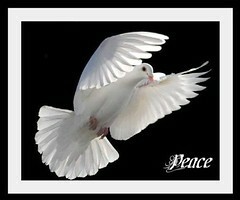 Peace in the rest of the world cannot be secured until the occupation is ended and a peaceful resolution achieved. My personal view is that Britain has a specific responsibility linked to its imperialist past. British policy helped to create the Israel/ Palestine conflict and that places a special onus on our government and ourselves.